Where are these weeks going - soon be Christmas! gift ideas. We could all do with a little inspirational help this time of year. 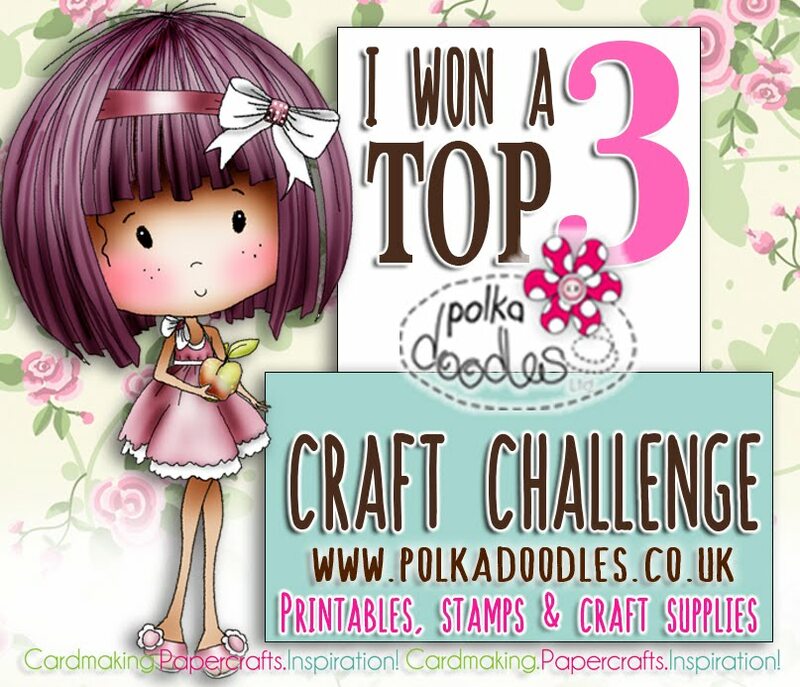 You have until Noon GMT, Friday 31st October to enter. 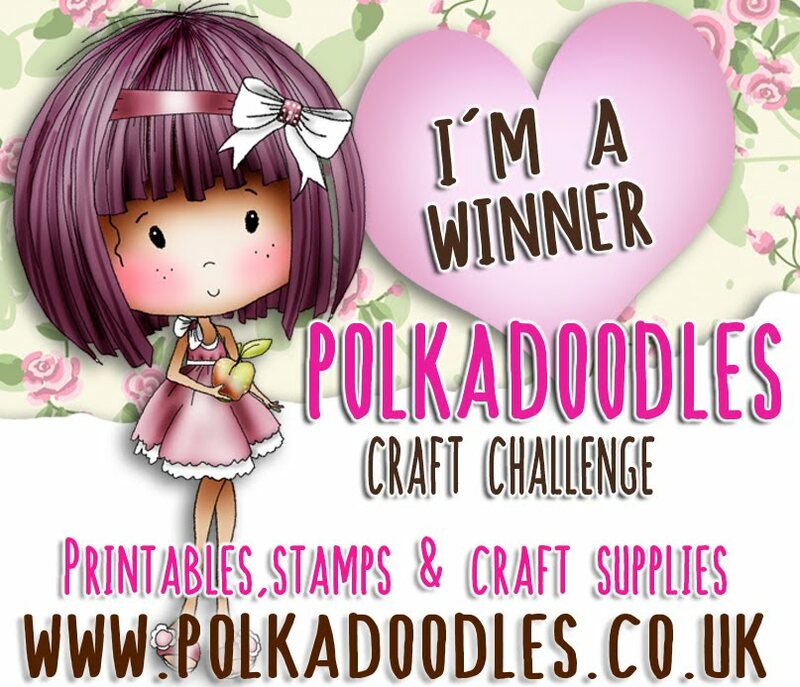 You don't have to use Polkadoodles products to enter the challenge and our winner will receive a copy of our fabulous Winston CD rom collection! Please, though remember that there are only 2 entries per person. Asha - Apparently Dollie Daydream images work for Christmas too. 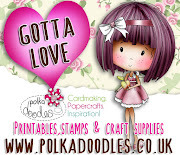 Here I'm using the Glitz Dollie from the Dollie Daydream Girl Talk Bonus Edition CD. She is also available as a digi download. I coloured her with Graph'It markers. 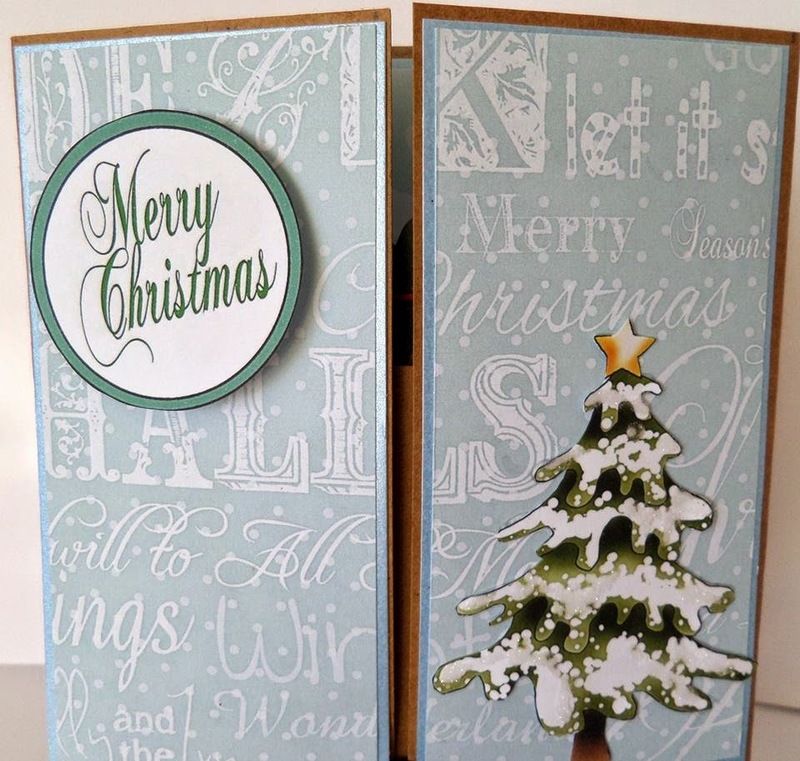 The papers and greeting are from the fabulously lush Angelberry Christmas CD. Keeping it simple with just a few bling and a sheer bow. Cheremane. For my Xmas make I used Festive HollyBobs Cd I adore the Skater girl and whats more you can get her on her own as an instant Digi Image Download and even as a Clear Stamp and lots more of the Characters are also available too. To make my pond for her to skate on I used Glossy accents and glitter. 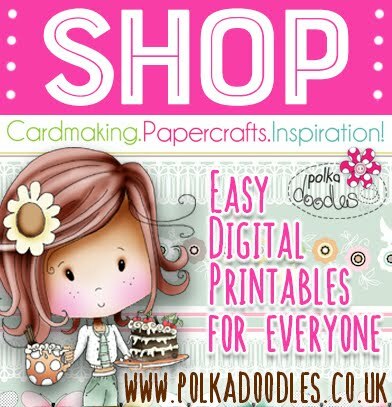 Pop on over to the Polkadoodles Shop for all you crafting needs. 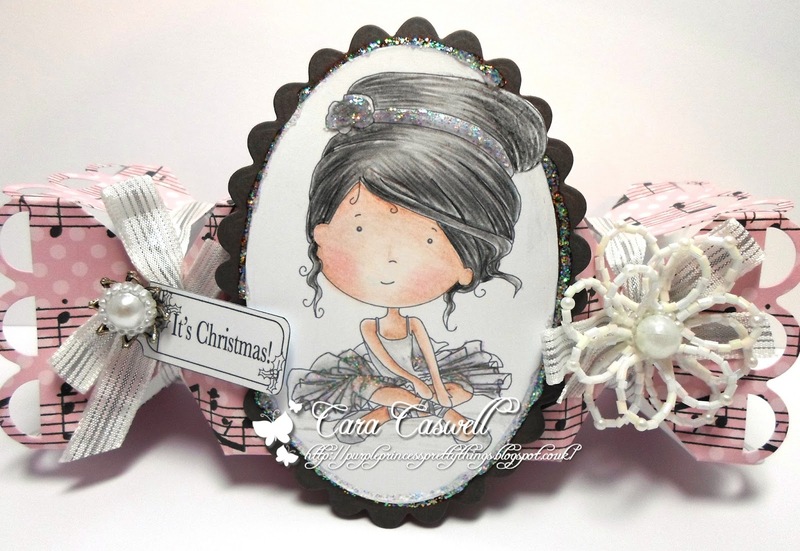 Cara: I too used the Work and Play collections for my project, I used the adorable little Ballerina from W&P 2, the papers i printed direct on to my cracker is from W&P 1 and the sentiment is from the Festive Hollybobs CD. 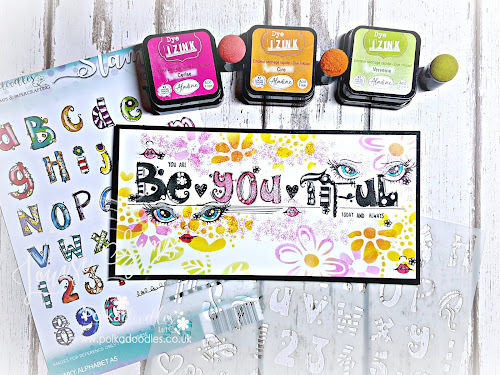 Did you know you can also get the little Ballerina as a clear stamp amd also a Digi image! 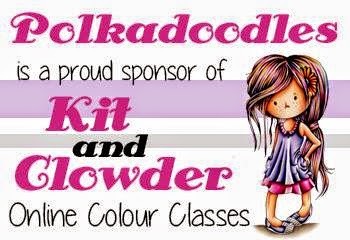 How fab! Melanie - I used the adorable Winston CD as the focal point for my card, mixing the backing paper and image from the CD with a little Christmas candy cane and sentiment from the Festive Hollybobs CD. 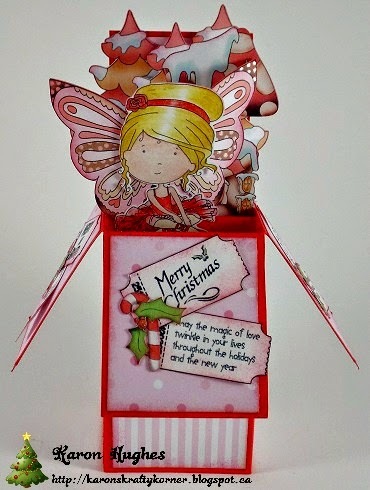 Some extra merriment was added with the help of some glitter card, gold jingle bells, Christmas ribbon and a die-cut and sanded postbox. Karon - I used the ballerina from the Work & Play 2 collection, she is coloured with pencils, and I added a little bit of glitter pen to her too. The papers are also from this wonderful CD. I added some butterfly wings from the Bonbon Belles Double CD collection to turn her into a Christmas fairy. I also used some trees, a mushroom house, embellishments and sentiment tickets from another fabulous collection the A Home for Christmas CD. 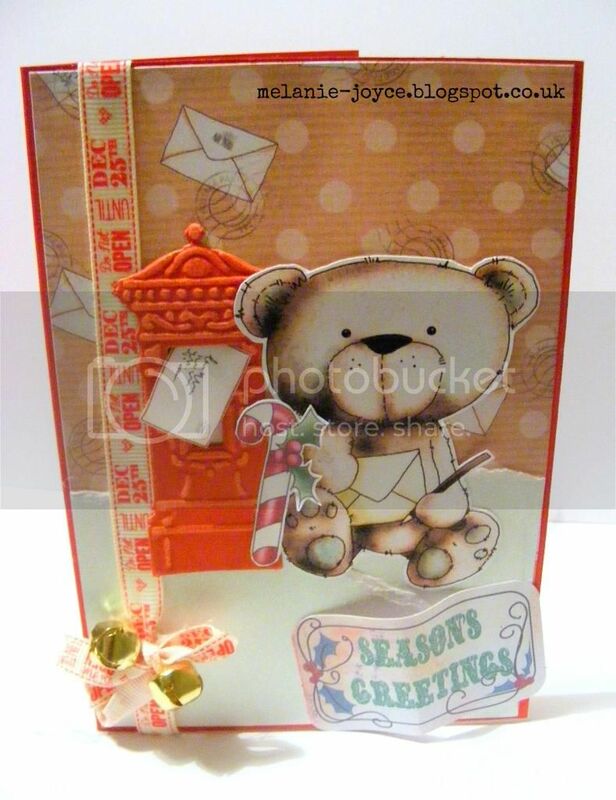 Samantha K - I have made an advent slider, with Etty bear from the Winston CD as the star main attraction at the top. As the numbers are pulled through to show the next date and then pulled out completely, Etty drops down, making her way down to the fireplace and presies :) The other elements hanging on the wall and fireplace and the paper used for the sliders, are all from the Festive holly bobs CD. To hopefully make Etty look a little more festive, I changed her dress to a red and also her presie, which could quite easily be a Christmas presie. Anna - I made a round card again and again with a beautiful red deer. I hope that you’re not bored with so many round cards, yet. This one is entitled “A letter to Santa Claus” and I decided to make it mainly in white. Consequently, I used white doilies, cut out houses, tulle, a drapey fabric tape, a huge bow, pom poms. But also I used pictures, such as the one with Santa from Picknix Collection 2...Gingerbread Twist CD . The whole is rounded off with artificial snow attached with gesso, as well as with silver and red glitter glue. Lou: I have used the Postwoman from Work and Play 6 so that she is now delivering all out Christmas letters, card and parcels. I also used the letters background paper which is also on the CD. 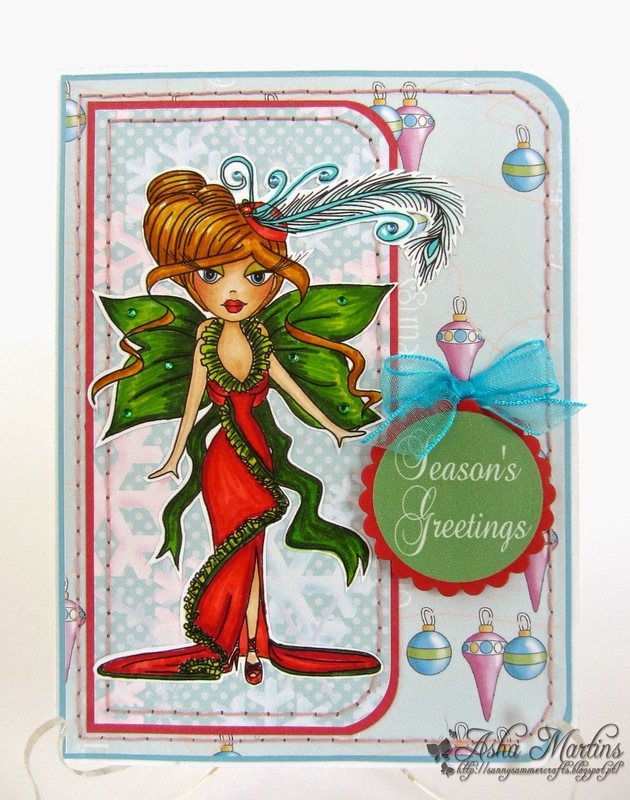 I have added a little stamping and die cuts to make her even more "festive". Full details are on my blog. WOW! Awesome creations from the Design Team this week. Hope it inspires you to start getting your Christmas creations ready. Can't wait to see what you are all creating.